Todd Jersey provides expert information on a variety of topics related to your building design project. 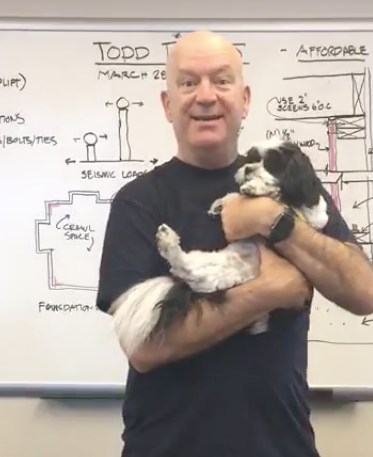 Todd shares his expertise via short videos on Facebook Live and YouTube on a variety of topics to get you informed when planning your next building project. Sign up for our email list using the “Sign up!” tab on the right side of the page to receive our newsletter and emails about upcoming talks.